Oftentimes overlooked, adding a good permission reminder to your email campaigns can be a very effective way to reduce spam complaints and unsubscribes by helping your subscribers remember why they are receiving your email. The permission reminder is typically added in the footer of the message, often using a font that’s way too small: don’t make that mistake! See our checklist at the end. To improve deliverability and email reputation. Minimizing the number of spam complaints is crucial in keeping your deliverability and email reputation high: it helps you reduce the chances that your IP address and/or domain become blacklisted and have ISPs, such as Gmail, label you as a spammer. To establish a positive brand image. What happens when you have no idea how or where you signed up to receive an email that’s sitting in your inbox? You believe that it is unsolicited and might mark it as spam. And, you start looking at that business’ brand poorly. Don’t be that business! Always adopt email marketing best practices and, through the permission reminder, help your subscribers remember why you are contacting them. To comply with anti-spam laws. Most consumer privacy laws are about transparency, and that’s exactly what the permission reminder does. In the US, businesses must comply with the CAN-SPAM Act. The law doesn’t specifically call for a permission reminder, but it does call for transparency. The Bureau of Consumer Protection advises to include in each email a valid physical postal address of your business, a way to allow recipients to opt-out of getting your emails (typically through an unsubscribe link), to honor opt-out requests promptly within 10 business days, along with a number of other tips. If you are emailing in or to other countries you should check how to comply with each anti-spam legislation. For example, the European Union has the Directive on Privacy and Electronic Communications and, in Canada, businesses must comply with Canada’s Anti-Spam Legislation (CASL), which went into effect on July 1st, 2014. Providing an unsubscribe link and your physical address will be enough to comply with most consumer privacy regulations. That’s what you will find at the bottom of many email campaigns, such as this one from the Content Marketing Institute. The problem with this approach is that it doesn’t help the recipient remember why the email is in their inbox. If you have that information handy, make sure to use it since it brings all the benefits mentioned above. That’s what eMarketer is doing in the example below: it shows the mailing list you’re subscribed to and the email address that is currently subscribed. If you have it, you could include the subscription date as well. The more specific the permission reminder, the better. You can include a rich permission reminder in MailUp by using dynamic tags such as [email], [purchase date], [source], and up to 39 different, fully customizable fields. If you are using our BEE drag-and-drop email editor, just add a new text block to the email and use the text editing tools to write the message and insert dynamic tags. Try this out in our free, online version of the BEE email builder on https://beefree.io/. In the example below from our MailUp newsletter, the permission reminder includes [email] and [source]. This means that when our subscribers get our monthly newsletter, they’ll see their email address and the source where they subscribed (such as from our website, BeeFree, or Facebook). Make it easy for your subscribers to understand why your email is sitting in their inbox: include a permission reminder! 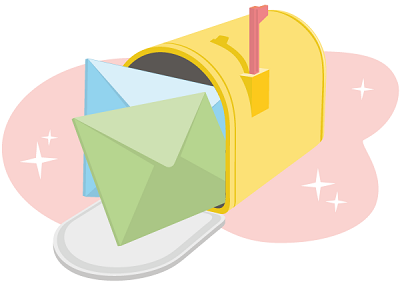 Placing it in the footer is fine in most cases, but consider putting it higher in the message if you haven’t emailed those recipients in a while. Don’t use a font that’s too small. Otherwise it’s hard to read and loses its effectiveness. Make the text of the reminder recipient-specific by leveraging dynamic tags. Include an unsubscribe link and a way for your subscribers to update their email preferences. Any other tips? Let us know in the comments!